Definition: Resorption of the outer surface of a tooth. 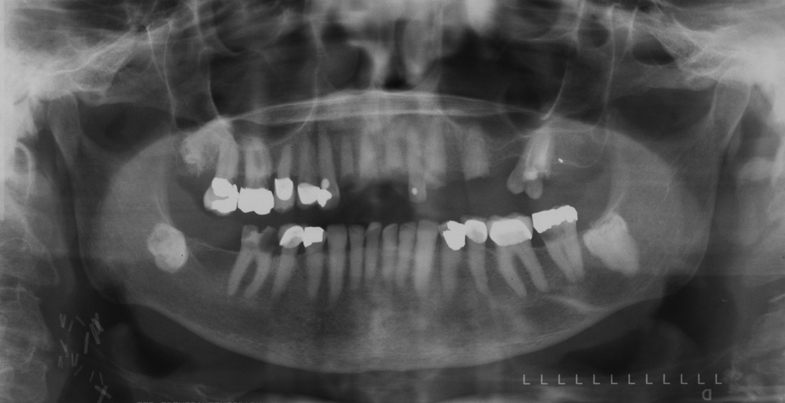 Location: Most commonly seen at the apices of teeth, but can affect any portion of a tooth that is within bone. Edge: Well-defined, smooth outline with altered shape of the tooth. Shape: Blunted, linear apex instead of tapered. Internal: Radiolucent when appears over the root. Other: When positioned over the pulp chamber and/or root canal, the outline of the chamber/canal will still be evident. 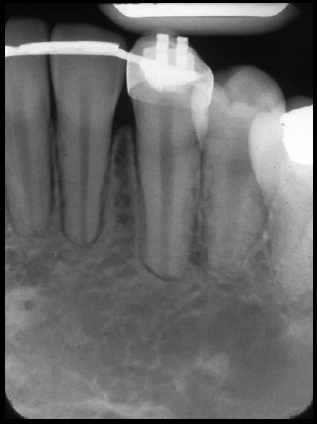 TIP: External resorption over the facial or lingual surface of a root can be difficult to determine from internal resorption. 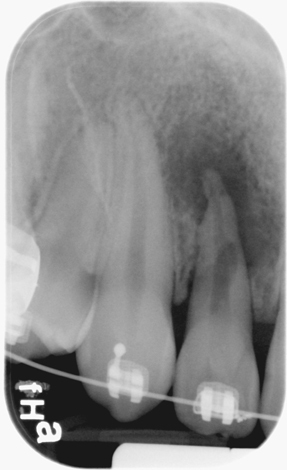 Re-examine the radiograph to determine if the outline of the pulp chamber and/or root canal is visible. 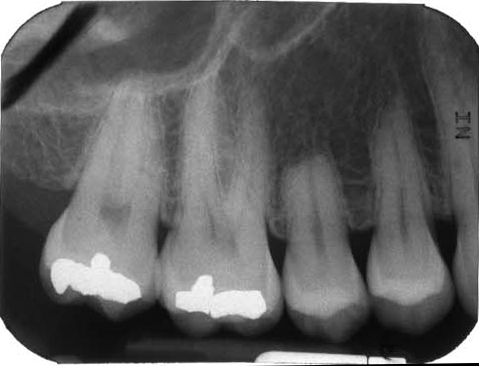 A shift shot can help determine if the chamber/canal outline is evident and not continuous with the radiolucent area. 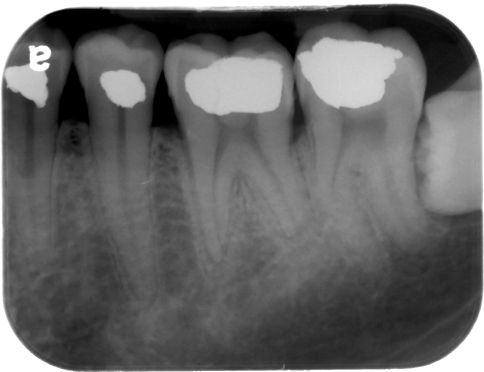 If the radiolucent area is continuous with the chamber/canal outline, it indicates internal resorption is more likely.